There are many reasons to fall with this city: its churches, its fountains, its parks and gardens, its overwhelming downtown with lots of pubs ( 100 years ago all these pubs were crafts workshops or shops). Every of these mentioned attractions is a special chapter worth, and I am going to do it for sure. But at this moment I must tell you first of all a few words about some decisive reasons for taking Bucharest as your future holiday destination: connections and hotels. Bucharest has a big international airport, with regular flights to other world's main cities. It is thus easy reachable, wherever you live on this shrinking planet. It is also easy reachable by train or by car, and even by water: the Danube ports of Giurgiu, Calarasi or Oltenita are only 60 km away! About the Bucharest hotels, there are many, there are a lot. A wide choice stays to your disposal, according your budget and interest. Two stars **, three star ***, four stars ****, even five stars ***** hotels of Bucharest wait for you, and I am going to make a selection, because I know personally a lot of them, being a travel guide since decades. In the very center of Bucharest, very closed to the KM 0 of Romania, Hotel Intercontinental is one of the landmarks of the Romanian capital. It has a very special and amazing history: build in the 70' years of the XXth century by an American consortium in a communist Romania ruled by Nicolae Ceausescu, became shortly a favorite meeting point of the local jet set. In those times had no competition for a foreign businessman wishing to do some business in Romania. On the contrary, for the normal Romanian it was almost prohibited going there, because of the high class and high prices, but also because of the people of Securitate (the local Secret service). 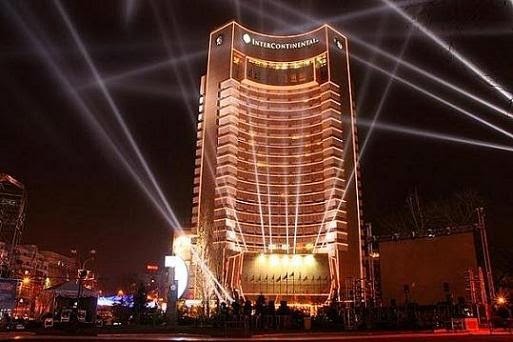 Nowadays Hotel Intercontinental is keeping the flag up through its exquisite atmosphere, trained staff and excellent service. 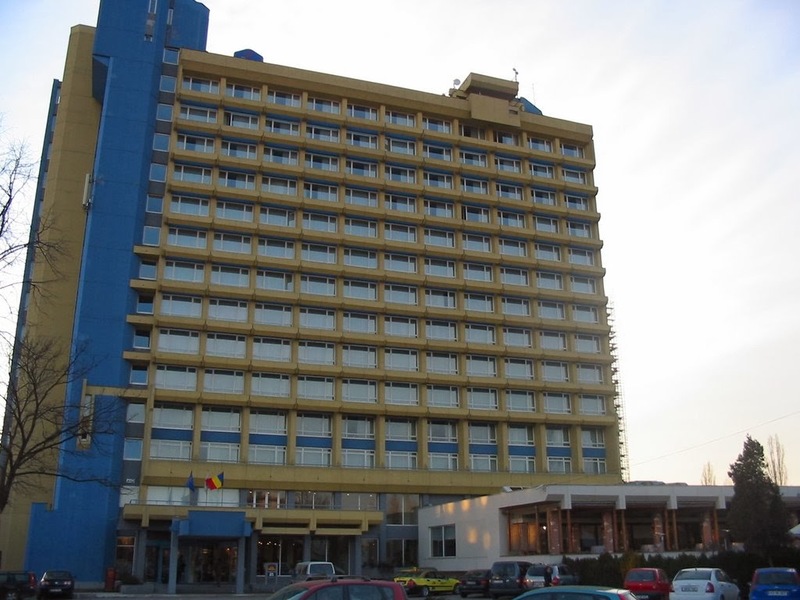 Hotel Ramada Parc Bucharest offers the best report between money and quality; besides the staff is very friendly. Not very far from Intercontinental, next to the Romanian Athenaeum, lies the well known Hotel Athenee Palace with its own history and legends. Between the two world wars was the most impressive meeting point of the Romanian aristocrats. During World War II it has been for more years the residence of the German headquarter and also the place where Romanian generals regularly met the German ones during their briefings. A little neglected during the communist times, it was took over after the Romanian revolution from 1989 by the Hilton concern, which improved the service and the look, but not the name. 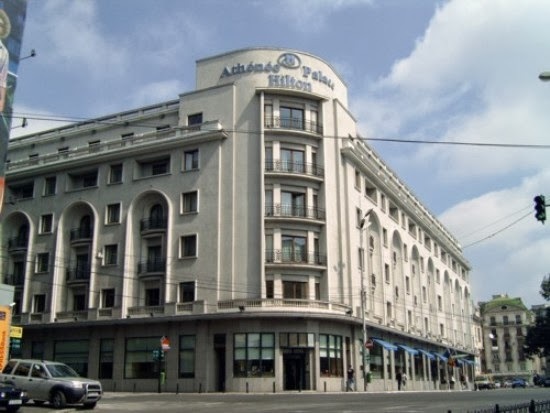 Athenee Palace by Hilton remains an important name for the Romanian hospitality industry. Last, but not least hotel to recommend with all my heart is Ramada Parc Hotel. It offers the best price/quality report and lies 15 minutes away from downtown, thus much more peaceful during the rush hours. It also lies close to the Bucharest International airport, and has been totally refurbished and renovated by the company RAMADA only a few years ago. It has a very friendly staff and good service. Really exquisite indeed!